If you have gone searching for True Blue Bingo but have been unable to find it, we are here to tell you why. The former Aussie-targeting bingo site has had a makeover and we can only expect good things. Now known as Giggle Bingo, the site underwent a transformation a few weeks ago and has only recently gone live. While there are a few drawbacks to this new makeover, there are also some sneaky bonuses to make up for it too. True Blue Bingo was originally all about targeting the Aussie player, with an Australian theme including the Sydney Harbour Bridge and a kangaroo plastered alongside their logo. Their promotions weren’t regularly updated which definitely deterred many players away, but the site still had all the standard bingo rooms, as well as some additional casino games from Microgaming. With this new transformation, it appears that the site is aiming to bring a heavier presence in terms of the social media side of things. They also seem to have the goal of consistently updating their promotions, but we will have to see how long that lasts. Besides the name, the biggest transformation involves the sites appearance. The entire interface has undergone a massive colour change transforming from a dark blue with yellow features, to a pastel blue with pink features, and instead of any stereotypical Australian images there are now smiley faces similar to the emojis we see on our smartphones, bouncing around the site with some holding signs that link to the sign up page. True Blue rarely updated their weekly or daily promotions, but it appears Giggle Bingo plan to be on the ball with this makeover, with a whole page dedicated to the promotions, and they even offer chat games where you can win prizes. Giggle Bingo still offers an array of pre-buy titles, 90-ball bingo games, and one 75-ball bingo game, just like its predecessor, and still also offers casino games, including blackjack, slots, and poker, from the top-leading software developer Microgaming. The games are basically all the same so if you did have a favourite at True Blue Bingo then you will be able to find it at Giggle Bingo, and use a new player bonus, too. This transformation has meant True Blue players who were already registered now have to re-register their account at Giggle Bingo. This is a pain for those who regularly play but it is important to note they can keep their username that they originally had when re-registering and it doesn’t take too long to do. Additionally, they have a bonus to make up for any inconvenience. For new players this will not be an issue and you can sign up normally, creating an alias provided that it hasn’t already been taken. With this launch of their new site they have also created a new bonus for players, which even existing players that have to sign up again, can access. This means even though you have been playing at True Blue Bingo and probably already accessed the new player bonus, you can now access a new and better welcome it again making re-registering not so bad. The welcome bonus sees 10 free bingo cards to use in their new bingo rooms, as well as four deposits each matched up to 400 credits. What does this new look mean for online bingo? 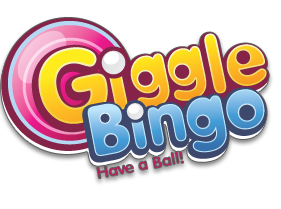 Basically this new look, and new name, is an indication that the people behind True Blue Bingo, now Giggle Bingo, are more focused on updating and keeping their promotions current for their players. The games are still the same, but existing players at True Blue do have to sign up again which can be a bit of a deterrent (we think access to the welcome bonus might just make up for it though). If you like promotions and sneaky competitions, we think it is worthwhile signing up (again if you were already a member of True Blue) to Giggle Bingo to see what they are offering in the coming months. How long does a standard game of bingo take? How much does it cost to play bingo? Is there such thing as a winning bingo strategy?